Your home is a safe haven from the cares and worries of the outside world. That’s one reason why you love it. But did you know that many of the dangers you fear most can occur while you’re sitting inside your house? 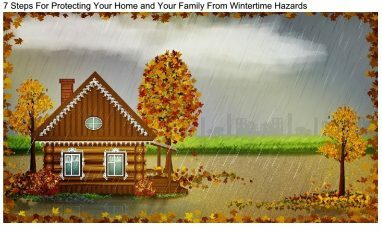 In this post, we’ll look at six ways to protect yourself and your loved ones from these home-based hazards. Step #1: Clean That Creosote Creosote is a smelly, sticky compound that builds up in your chimney like plaque in your arteries. Ignoring this dangerous substance can cause chimney fires, carbon monoxide poisoning, and other deadly issues. The only way to eliminate this ticking time bomb is to call a professional chimney sweeper. So-called “creosote cleaning fire logs” have only a minimal effect. Never rely on them to safeguard you from this hazard.